According to the International Data Corporation (IDC) the average office worker prints 10,000 pages per year. However, print release can save between 10% – 20% of those pages. 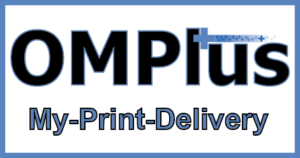 For example, a print release application like Plus Technologies‘ My-Print-Delivery (MPD) prevents waste pages from printing. Assuming 15% of office worker pages do not get printed, MPD could save around 1500 pages per year per worker. With a mix of mono (at $0.01/page) and color pages (at $0.08 per page) that can mean a savings of $75.00 per worker every year. Using the above numbers, a company with 1,000 office workers can have savings of $75,000 per year. Additionally, MPD improves confidentiality and security. Private information will not be laying in the printer tray waiting to be picked up.